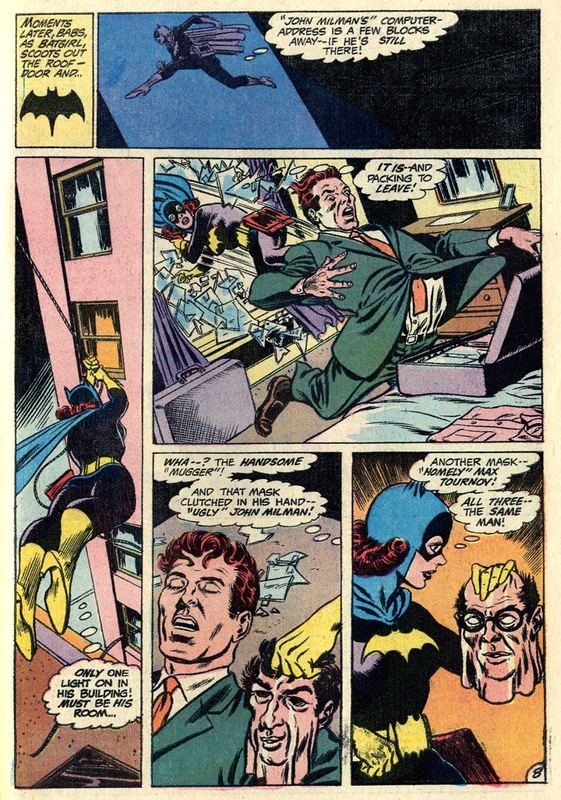 Always enjoyed those Batgirl back-ups in Detective Comics. 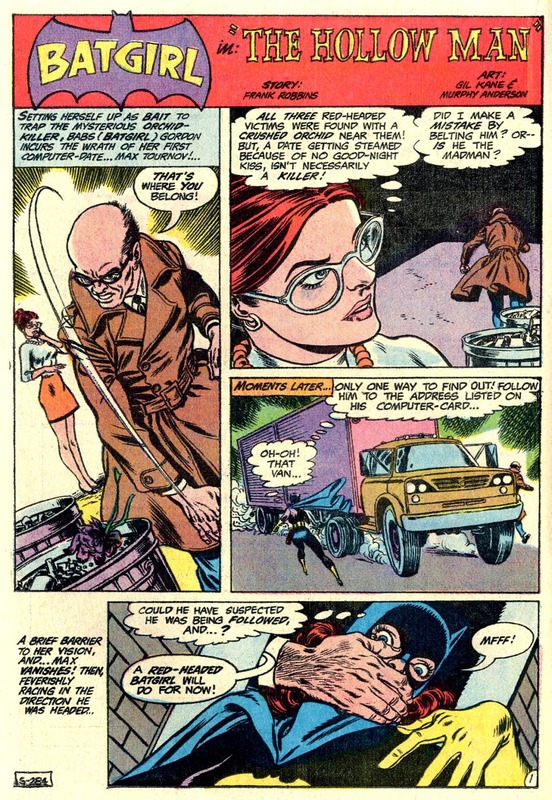 As fun as the Robin ones were ( especially Mike Friedrich's 'Robin Drops Out' stories ), it felt like a bit of a cheat to have him 'guest star' in a Batman book, whereas Detective Comics Presents Batman and Batgirl somehow felt a bit more special. 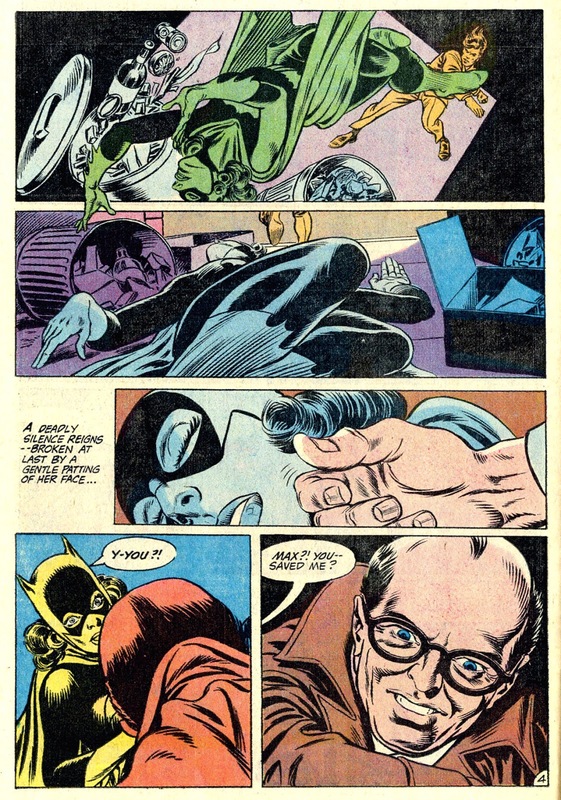 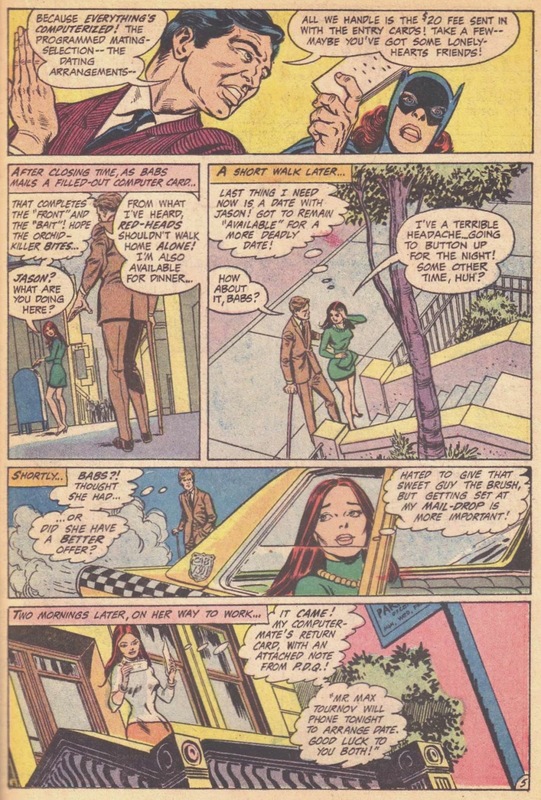 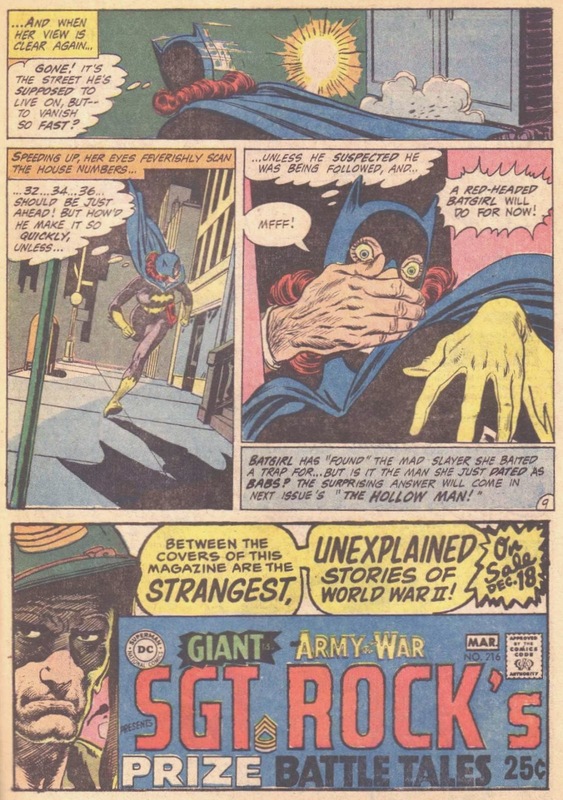 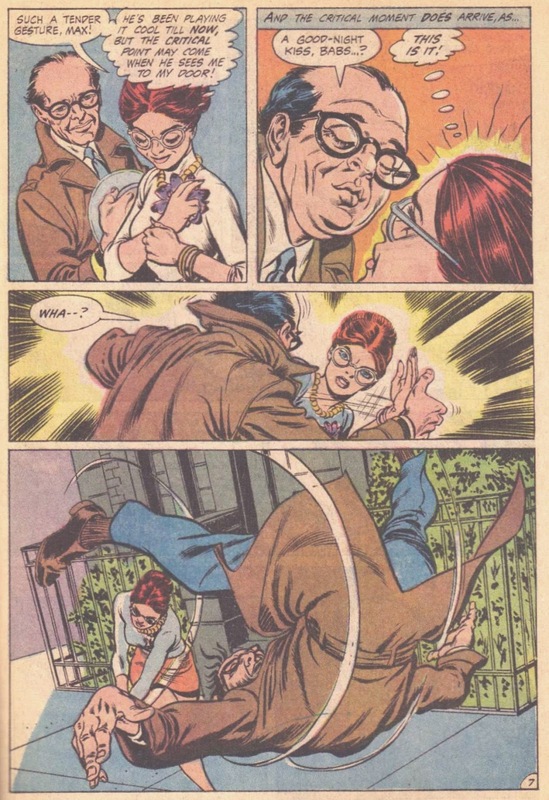 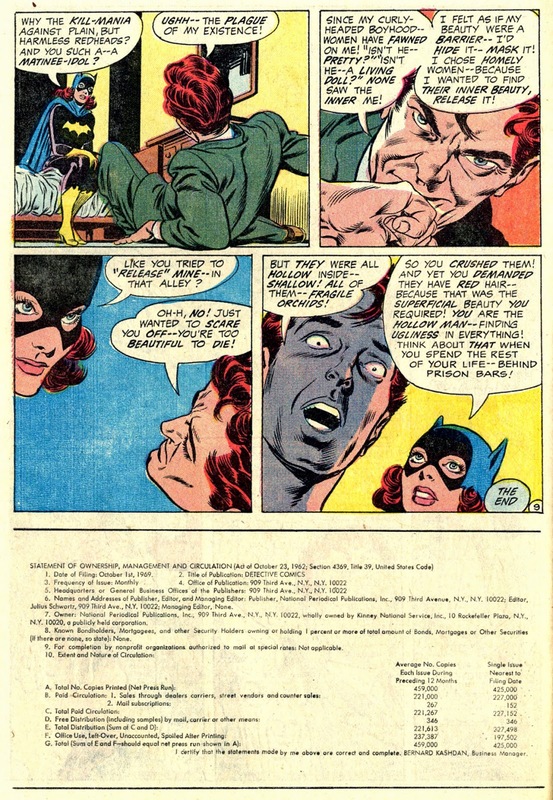 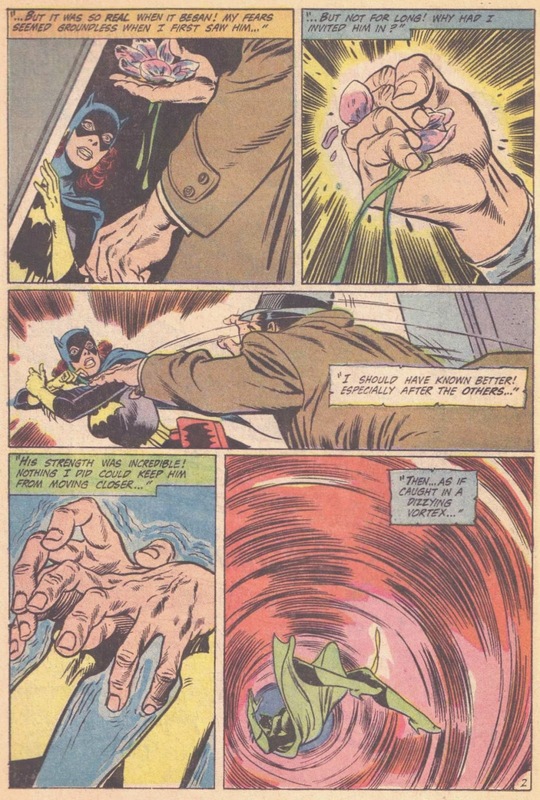 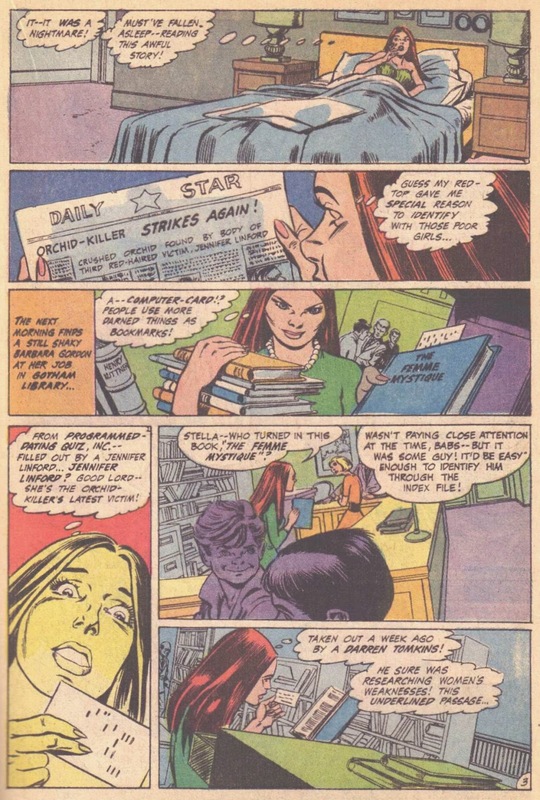 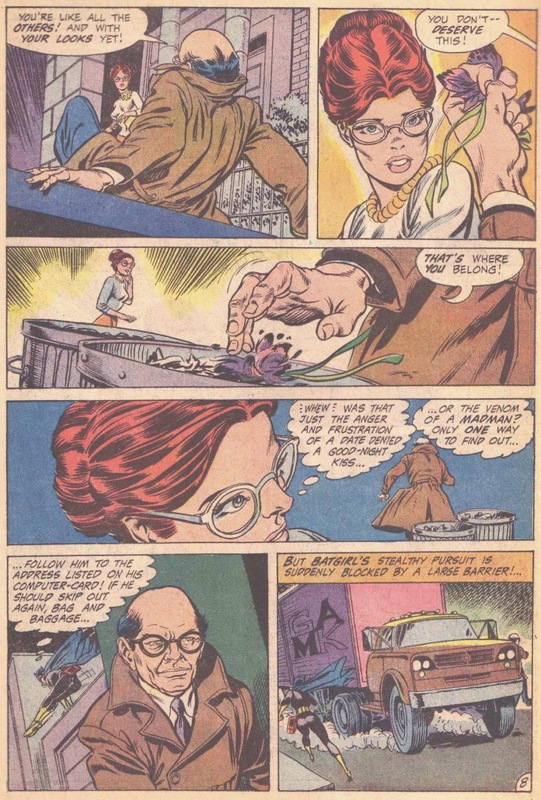 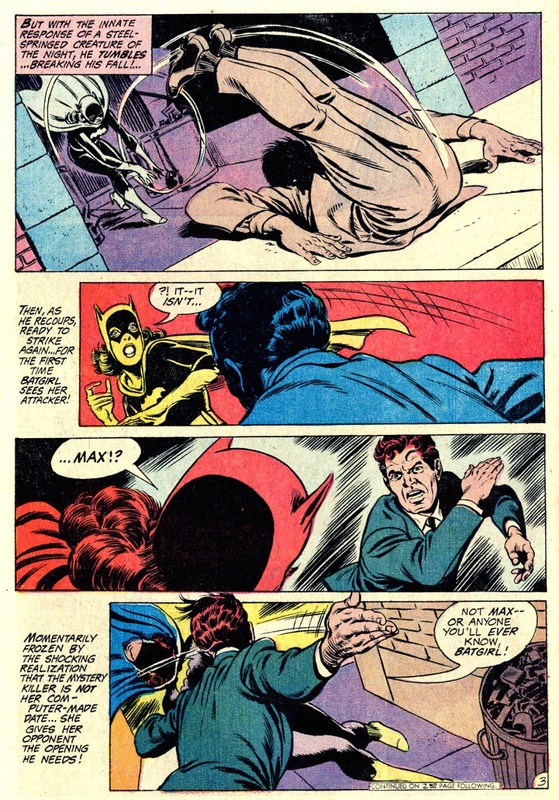 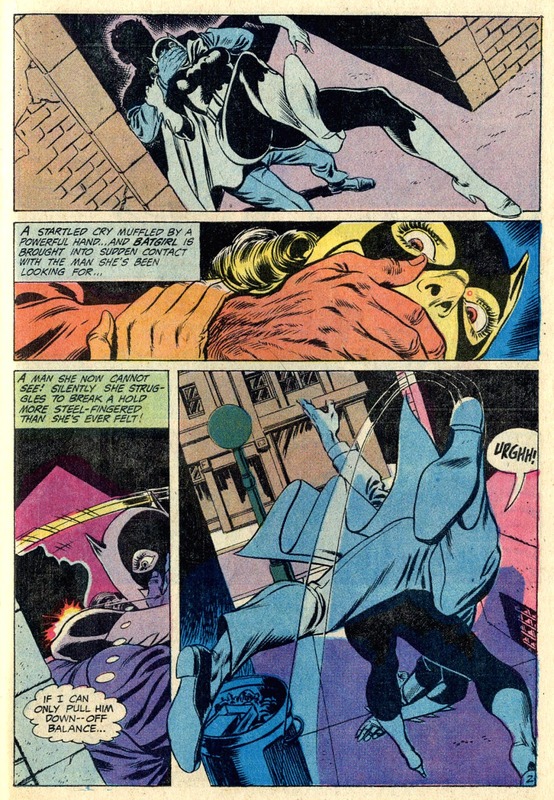 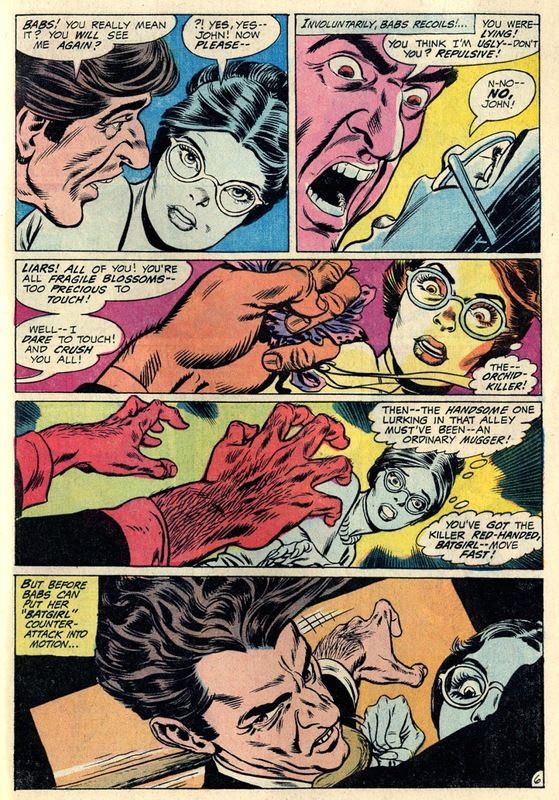 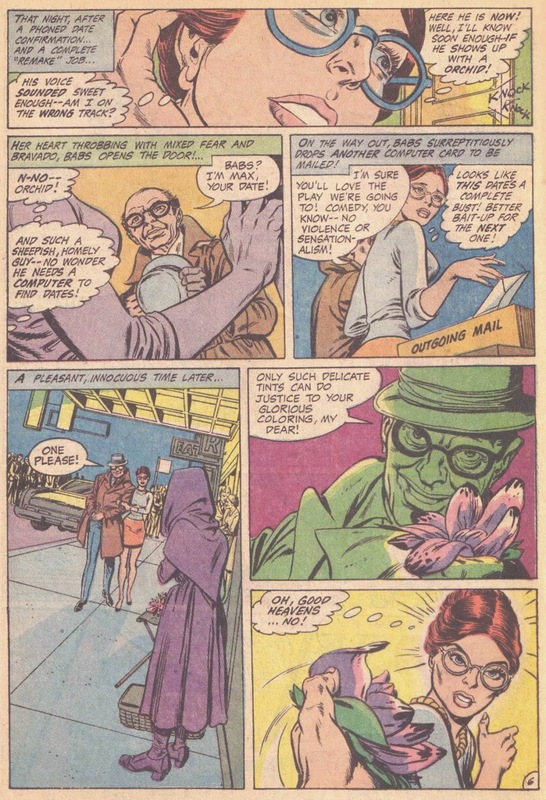 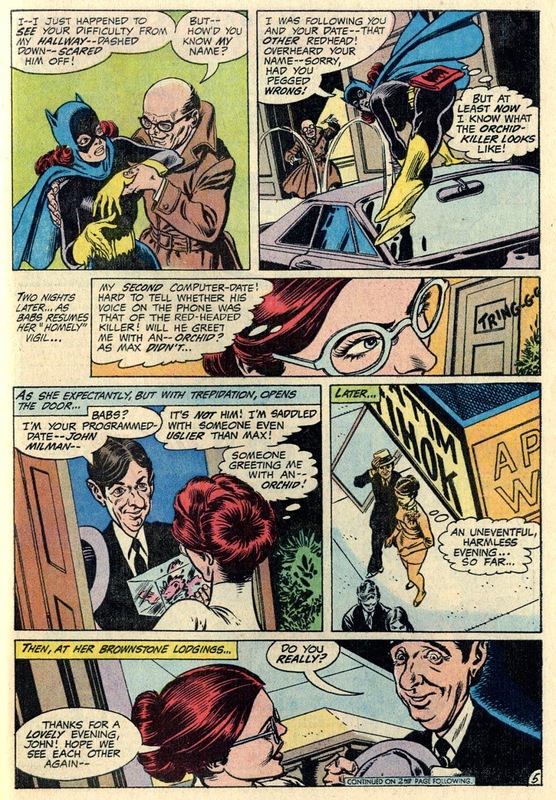 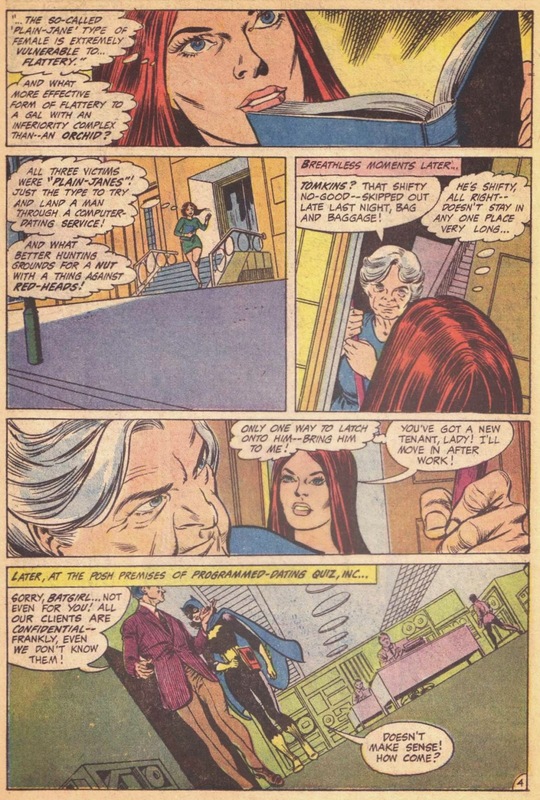 Here's Babs trampling on men's hearts while trying to catch a stalker, as Gil Kane and Murphy Anderson make a perfect art team. 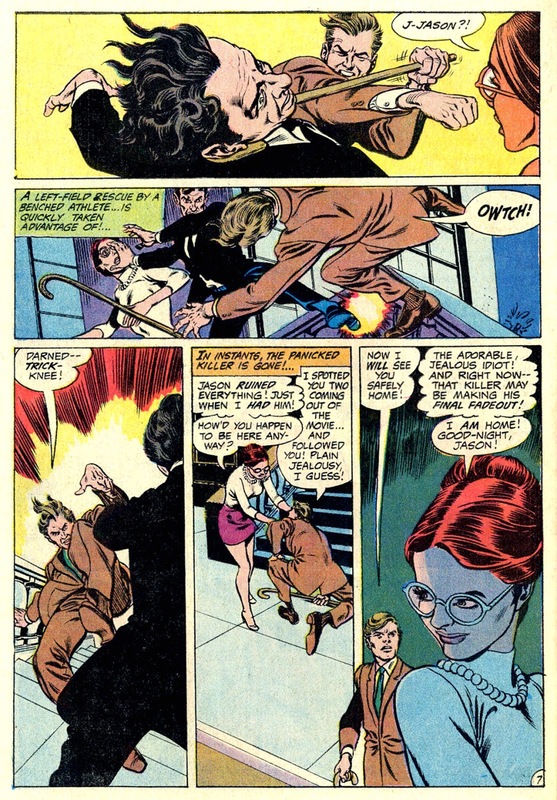 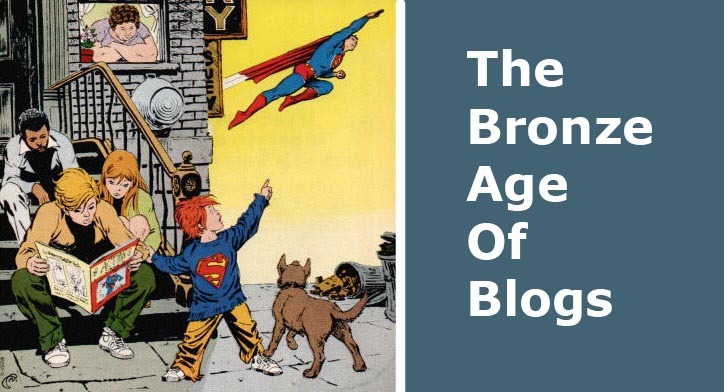 Notice also the gag on the first page, where writer Frank Robbins ( I think ) is arresting an abashed Gil. 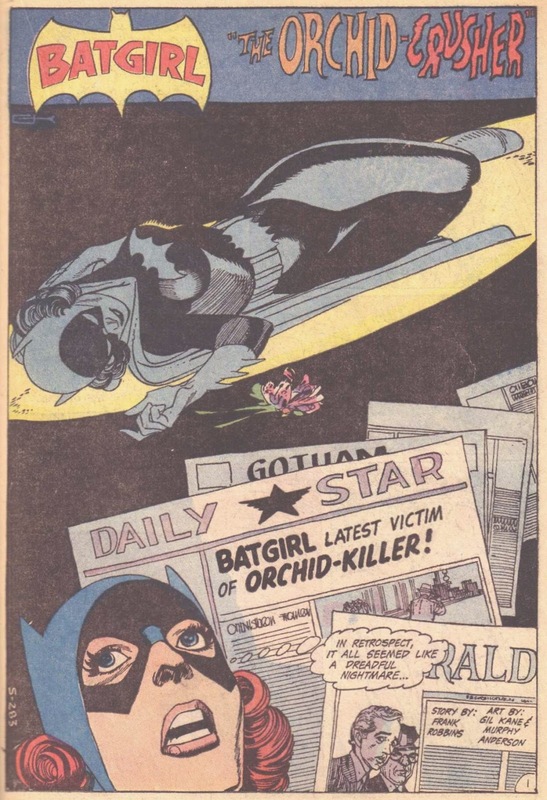 It's nothing to do with the orchid-killer by the way, Gil's being pulled in for drawing up-the-nose perspectives without a licence.